The Mill is an exhilarating modern style fireplace. 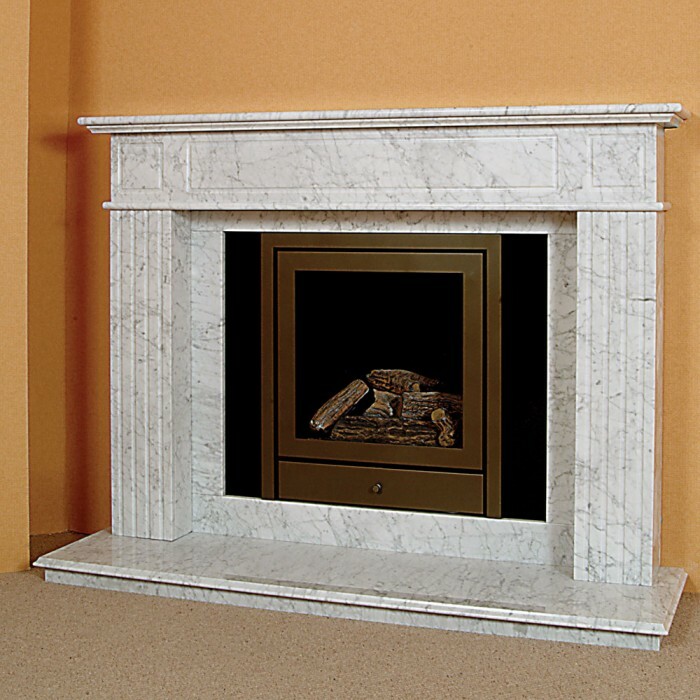 Presented here in Bianco Carrara Marble with fluted side panels and granite inset resting on a marble Hearth. There are a choice of inserts and hearths available. 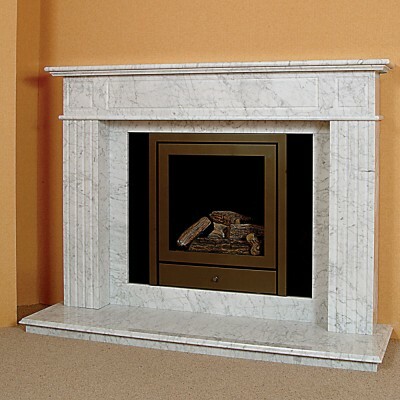 This fireplace is suitable for either gas or solid fuel.